Aquaflex has been certified Red List Free by the International Living Future Institute. Declare. labels with ingredient disclosure to 99.9% meet the LEED v4 Material Ingredient Credit Requirements. Red List Free: Red List Free products are 100% disclosed and do not contain any Red List ingredients. They have been shown to meet emissions testing criteria, if applicable, and also meet the materials requirements of the Living Building Challenge. Declare. : Declare. 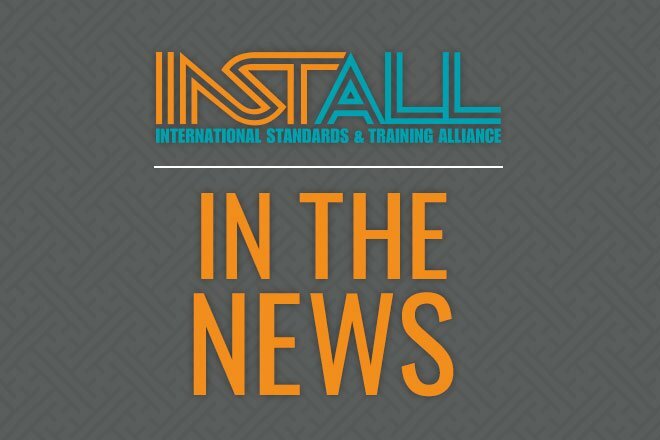 is an ingredients initiative for building products that is designed to shape a greener, healthier environment for construction workers, business employees, and customers alike. The Declare. program labels goods with a full list of ingredients and expands the transparency of the building market. ARDEX Americas’ commitment to innovation continues with the launch of the ARDEX P 4™ Pre-Mixed, Rapid-Drying, Multipurpose Primer. 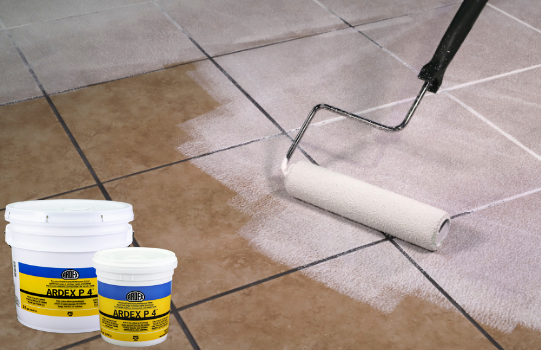 ARDEX P 4 is specifically formulated for use prior to the installation of ARDEX Tile & Stone mortars, as well as most ARDEX self-leveling underlayments. It also offers a textured surface for the optimal bond over most common substrates. The unique consistency of ARDEX P 4 virtually eliminates drips and splatters and dries in as little as thirty minutes, as well. Suitable for use over a wide variety of substrates, ARDEX P 4 provides outstanding coverage at 300 sq. ft. (27.8 sq. m) per gallon. The primer is available in two convenient sizes (1-gallon and 3.5-gallon) and ready to use for any priming application. 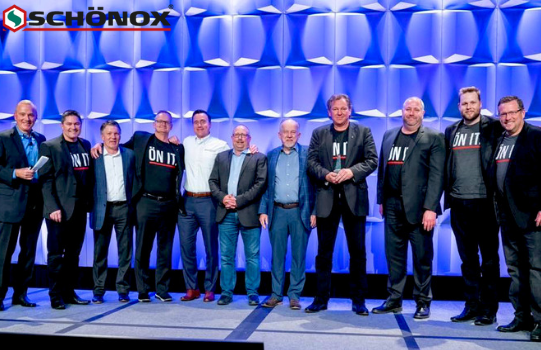 Fuse Alliance, a Member-owned organization of professional, commercial flooring contractors, recently announced Schönox, HPS North America as the recipient of the 2019 Supplier of the Year award. This honor was presented at the Fuse Awards Program during the organization’s annual conference in Orlando, Florida. The Fuse Awards Program was established to recognize excellence and feature best practices among Members and suppliers. Recipients of these awards are chosen based on a survey given to Fuse Members. As described by Fuse, Supplier of the Year is a vendor that has performed above and beyond expectations in terms of product quality, service, and support. This is the 11th anniversary of this award and second year in a row that Schönox has been honored. 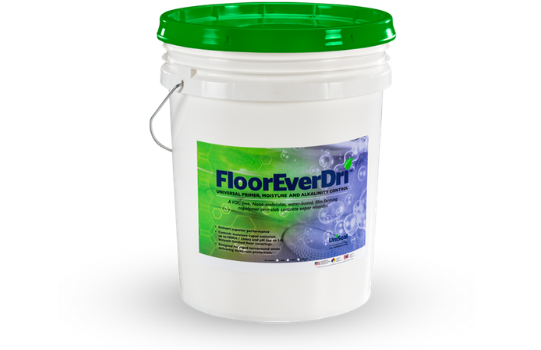 In 2018, UniSeal Solutions, Inc.’s FloorEverDri Moisture Mitigation solution hit the market in a big way. Last year, over 2,000,000 square feet was installed. Installers and manufacturers are coming around to this clean, water based product for moisture mitigation. Founder of UniSeal Solutions, Mike Leaman, proudly discusses the product’s success and its unique positioning in the market.